A loan of $1,500 helped to buy a tricycle ("stotp"). This borrower is from Iraq. He is 36 years old, married and has three children. Maher has had a food market since 2009, selling different kinds of food and soft drinks. He has a long experience in this field and a good reputation and he is well known in his area. He is requesting $1500 to buy a tricycle called in Iraqi, "Stotp". It’s like a motorcycle with three wheels linked to box-like open car, to some extent a "pickup". He is aiming to gain more profits so he can improve his family’s quality of life. 1. Due to social and political challenges in Iraq, personally identifiable attributes of this borrower may have been altered to protect their identity (i.e. 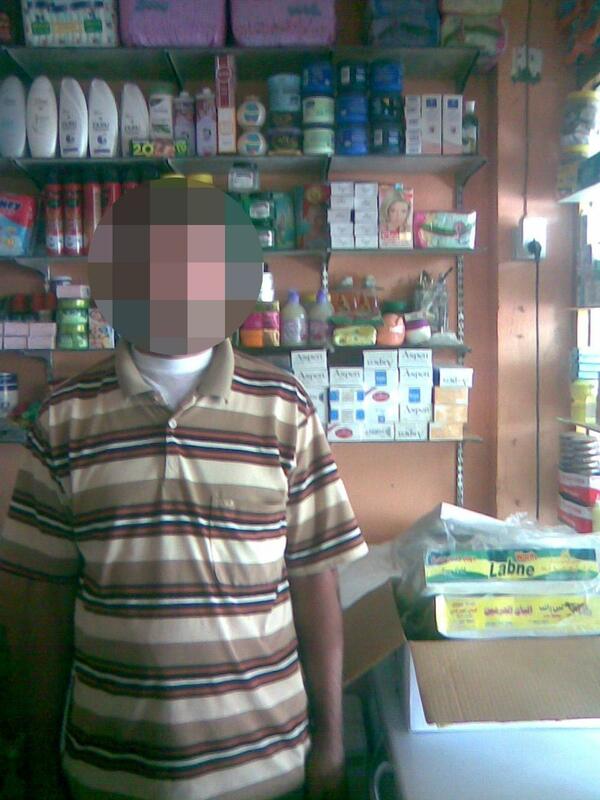 blurring portions of the borrower's photo, anonymizing name and location, etc.). CHF appreciates Kiva lenders' understanding of these challenges and encourages lenders to continue their support for Iraqi borrowers. 2. To cater to more Iraqi borrowers, CHF offers loans that comply with Islamic law. A key principle of Islam is the prohibition of charging interest on a loan. In order to offer loans in a manner consistent with borrowers' values, CHF will charge 0% interest on this loan. However, the organization does charge a flat service fee to cover its costs. The loan amount you see listed on Kiva includes both the principal loan and this additional fee. As with all Kiva loans, you should expect to have your funds returned to you according to this loan’s repayment schedule. 3. Please note that CHF has not been visited by any members of Kiva's staff. Due to ongoing security concerns, due diligence was conducted remotely. ACSI does, however, meet all of the minimum criteria for partnership with Kiva. 4. While Kiva has been able to send and receive funds to and from Iraq in the past, there is a possibility that future loan repayments could be delayed for regulatory reasons, even if individual borrowers pay back their loans. When you make a loan through CHF, you assume this additional risk. ACSI, a project of CHF International, was the first microfinance institution to commence operations in Iraq, just months after the fall of Saddam Hussein’s regime in 2003. They began with a sizable grant from the Coalition Provision Authority (interim Iraqi government), whose goal was to work with CHF to "get money in the streets." ACSI has since grown to become the largest microfinance provider in Iraq, with 51% of the market (as of the close of 2008). They serve borrowers in urban, peri-urban and rural areas, across multiple ethnic groups that include largely Shia Muslim communities in the South, Sunnis in the central part of the country, and Kurds in the north. During 2010 they are focusing on expanding east into the Anbar province, and further north in the Kurdish areas, and their network now includes 14 branches In addition to providing credit, CHF ACSI has become an influential player in negotiations with the newly established Central Bank to help draft and refine laws that will govern microfinance operations within the country. CHF has been one of the most prominent voices at the table in these discussions. Funders, particularly commercially-motivated ones, are still largely reluctant to fund MFIs operating in Iraq. Because of this, Kiva is playing an influential role in ACSI's institutional development as they seek to diversify their funding base and move beyond equity. Through this partnership, Kiva is not only getting the opportunity to support an incredible burgeoning organization, we are also helping to influence the future of microfinance in Iraq.